Jo S: Phew, where to start this week?! Wednesday’s list is a real mixture of much-anticipated next issues, and new and exciting goodies - stuck in Birmingham for work, I’ll be fidgeting to get back and get that paper parcel torn open! 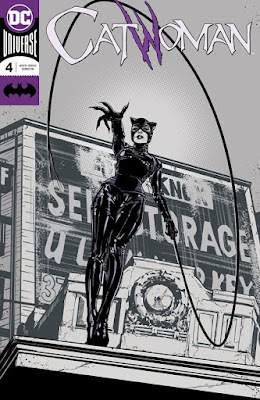 It will take something really spectacular to beat Catwoman #4 out of the championship spot this week - Joëlle Jones’ languid yet determined Selina has cat-burgled my heart - but She Could Fly might be a contender, as it reaches its conclusion this week. A story with a hero whose mental health is so fragile that it seems impossible that she function in normal circumstances, let alone when tackling international industrial espionage, this has never held back from taking us inside the psyche of a woman struggling to deal with the horrors created by her own mind. For tasty new treats, I’m giving Image’s Infinite Dark a try: artist Andrea Mutti was, for me, one of the better things about the Port Of Earth series and the story premise of a murder mystery in the deep isolation of space ticks a couple of boxes for me. For those who are aware of my ongoing slightly hysterical fascination with Spider-Ham, it will come as no surprise that I’m going for Spider-Geddon #1. No sign of Peter Porker on the cover, but there are plenty of Spider-Varietals, including Tsum Tsum Spidey, so I’ve got my spider-trotters crossed that he’ll make an appearance. 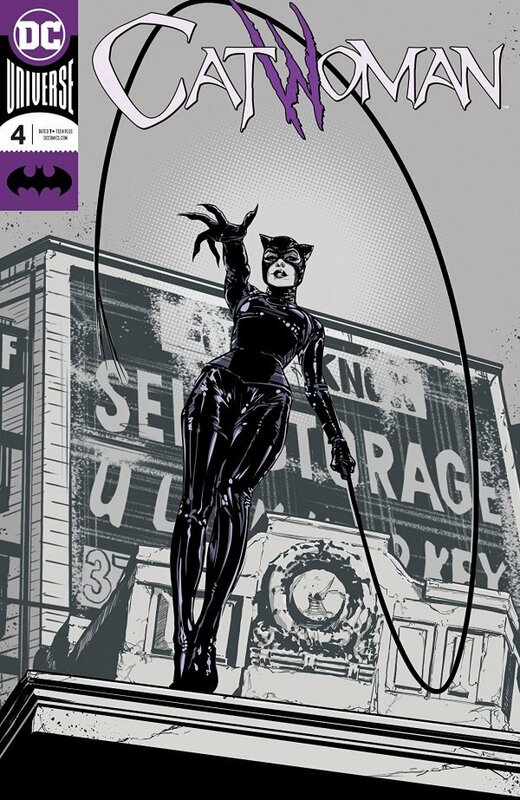 Finally, James R mentioned in his reviews this week that fans are keenly feeling the lack of a series from Brubaker and Phillips currently: no news as yet on a serialised comic, but this week does see the release of a hardcover graphic novel from this iconic team, My Heroes Have Always Been Junkies. A story of a teen obsessed with the perceived romance of the addict’s life, this should be something pretty exceptional, and having only recently discovered and immediately loved the Criminal books, I’ll be forking over some of my hard-earned cash - it’ll make that trip to Birmingham worth my while. Andy H: Yikes! These five week months can play havoc with my pull-list. This week it looks like I have four titles to look forward to and one of those is an issue #2 of a miniseries that I still haven't actually started reading. The big hitter of the week is Immortal Hulk #7: so far so good; Al Ewing has made this title an essential read. In this issue we go back to basics, sort of, as the Hulk battles his former team mates, the Avengers. I'm guessing the Avengers will be in for a bit of a surprise this time, as this incarnation of the Hulk is very different from the one they're used too. Most of you are probably aware of the animated Spider-Man movie heading to the cinemas this December. Well, it looks so darned fine that it's got me craving some Spider-Verse action and Spider-Geddon #1 should scratch that itch quite nicely. Full of other dimension versions of our favourite wall-crawler, this is going to web-tastic to say the least. We're back to the Avengers now and if you ever need another classic adversary for them to go up against (and the Hulk is busy) then Namor the Sub-Mariner is always a good shout. Avengers #9 has the team heading out to sea, and under it! Judging from some of the preview pages this may be a more savage Namor than we are used to, and as in Immortal Hulk #7, the Avengers may have their hands full. Finally, after a Marvel heavy list, I'm looking forward to Newbury And Hobbes #2. Okay, I haven't had time to read #1 yet but this steampunk adventure looks right up my street and I really want to jump on board. Hopefully I'll have read #1 and 2 by the time #3 comes out. Let's not make any outrageous promises though.